If you were not aware, apple provides their own suite of apps for education. They are pages, numbers, keynote, and iCloud drive. iCloud provides a portal to all of these apps while giving you the option to sync all of your devices to it! This post will quickly outline iCloud Beta and the possibilities that iWork holds. Since iWork is run through iCloud, all of the files you create or edit are backed up to your iCloud drive. This setting can be turned on with your iPad so that these files are also pulled onto your mobile devices. This option makes content storage easy and fast. 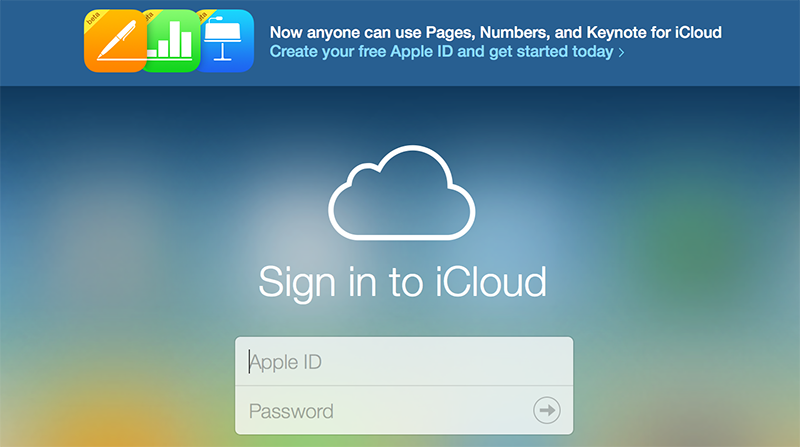 iWork for iCloud is a portal. This portal is available with a Mac, a mobile device, and even a PC! Yes, you better believe that I said a PC. Now you can compute with the Apple programs on your PC without having to worry about transfer or conversion issues. Since iWork for iCloud is an internet portal, you can do all of the leg work on your computer. This option is great for creating iBooks, presentations, or spreadsheets. Simply save them to your iCloud and watch as they populate onto your mobile devices for ease of sharing. You are able to directly share content from iCloud. This portal allows you to share a link with your students and provides you the option of password protecting this document. Personally, I recommend you create the content on your computer, publish or finalize it with your device, and share it via Google Drive or iTunes U. Go to iCloud today and set up your portal!